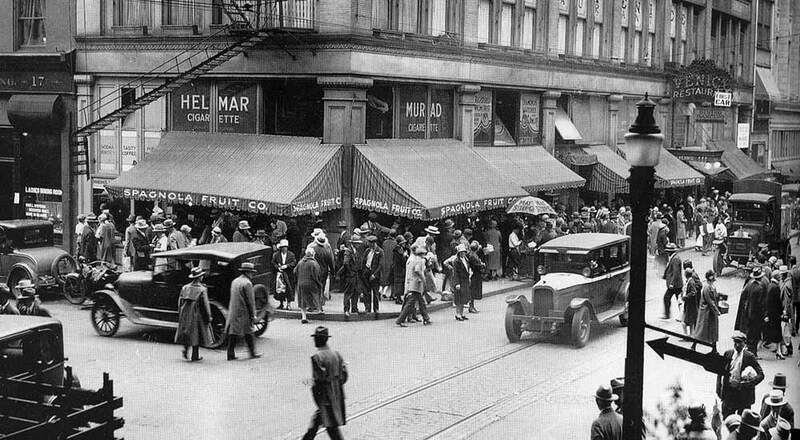 Seen in 1928, this corner was bustling with people in hats. The entrance to the Venice Restaurant seen at right would become an entrance to the G.C. Murphy store a few years later. 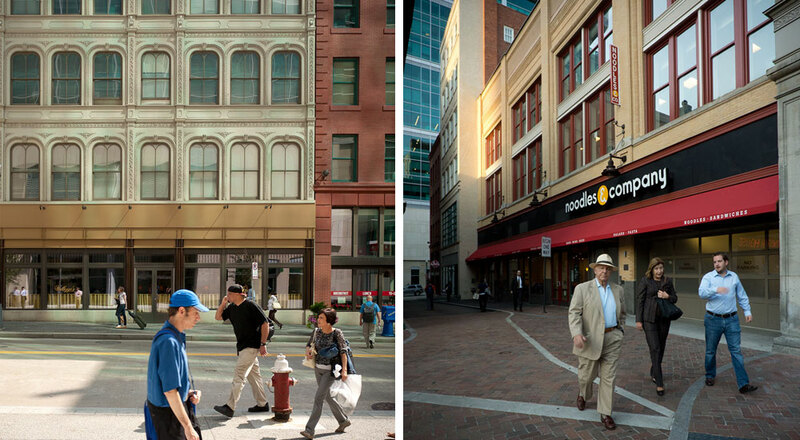 Market Square Place represents the remarkable transformation of a block of seven buildings in Pittsburgh’s historic core, adjacent to a square that dates back to 1784. Since its inception, the surrounding district was a hub of activity, lasting well into the early 20th century. By the 1990s, however, this streetscape was marred by neglect and disinvestment. 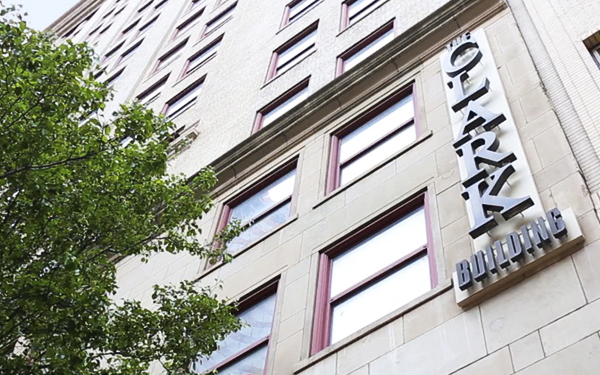 Market Square Place brought new life to this block, attracting an influx of residents and visitors and stimulating additional investment on neighboring streets. 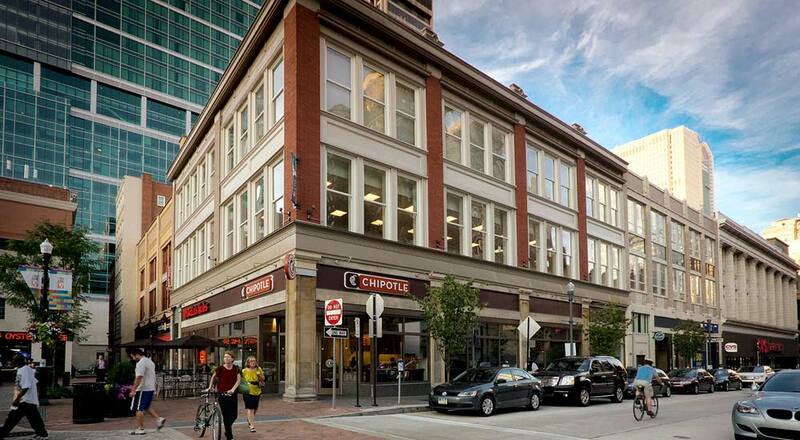 This block is now the cornerstone of a thriving commercial district and an active public square. 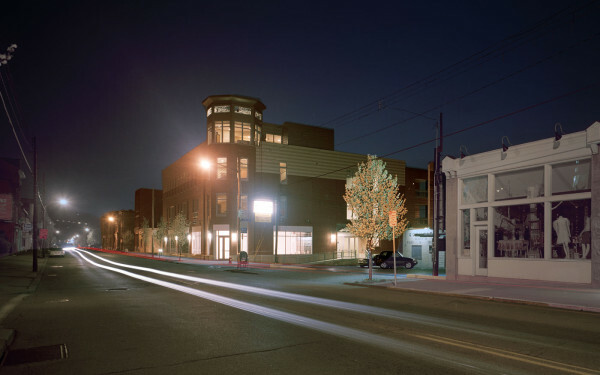 The first challenge of this project was a logistical one; the architects needed to solve a puzzle of buildings of varying heights, styles, and materials. 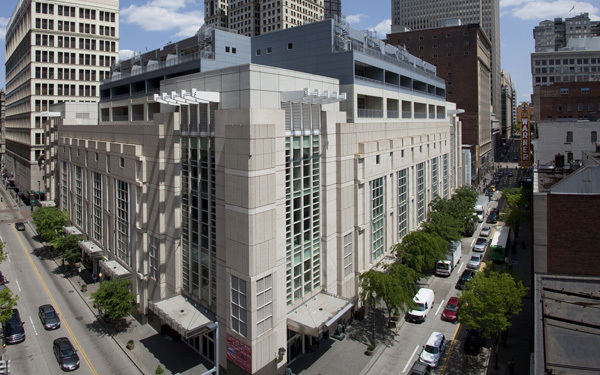 The team negotiated a maze of code requirements to come up with a design that joined all seven buildings into one, making it easier to subdivide for present-day tenants, which include a YMCA, an array of retailers, and residents of 46 market-rate apartments. While the interior of the project is successful due to a complete reconfiguration, the exterior shines because of its faithfulness to history. Among the seven buildings, the oldest is a unique cast-iron building dating to 1870, and the most recent dates to 1931-32. 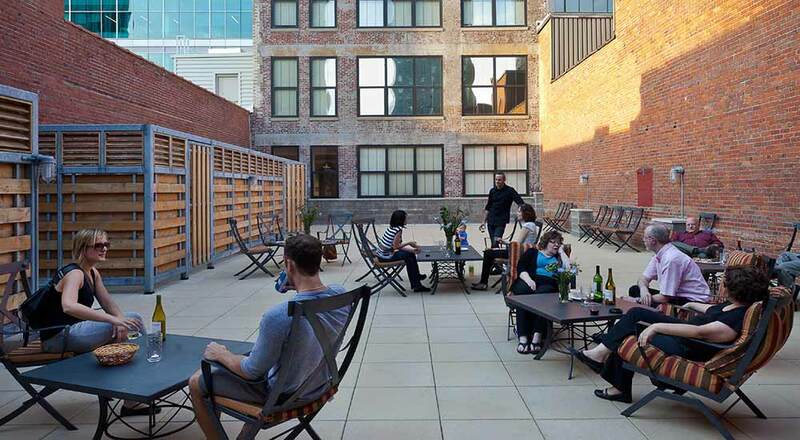 The renovation allowed historic facades to shed unfortunate additions such as fire escapes and other appendages, allowing for the restoration of stone and metal elements and the re-creation of long-missing features such as wood cornices and tin panels. 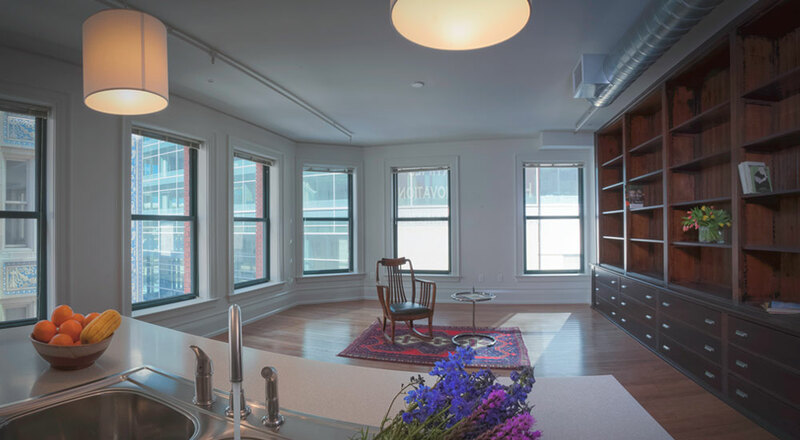 For some, the historic facades belie the forward-thinking sustainability of a project in which conservation and efficiency took many forms. 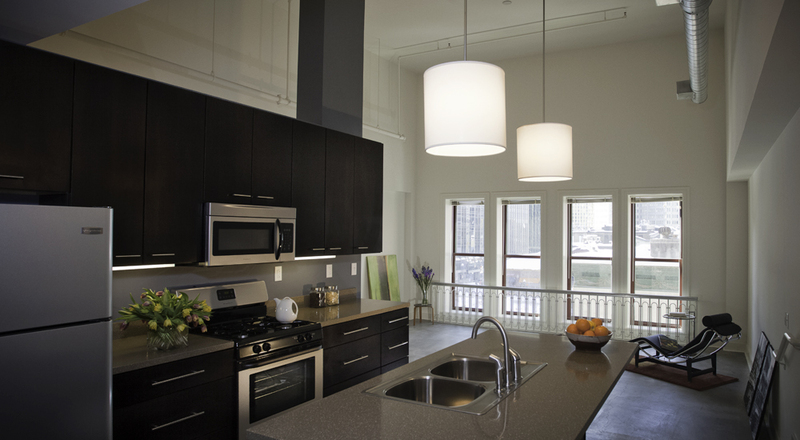 The new project reused 93% of the building envelope and 87% of the existing structure. 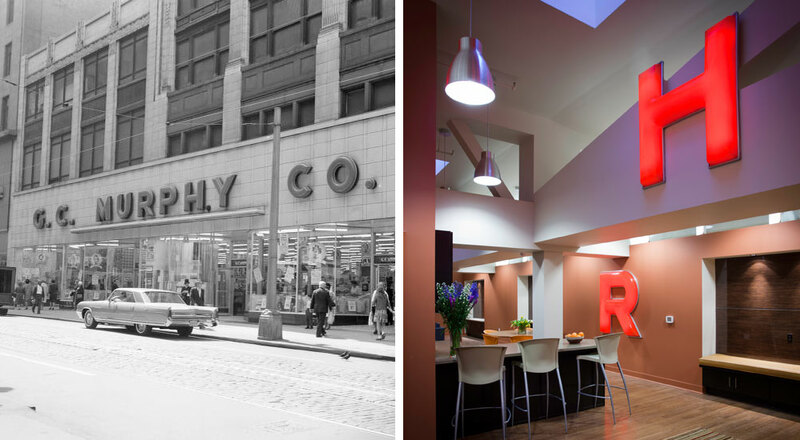 The team also undertook creative reuse of architectural components, such as signage, which was reused as light fixtures; metal railings which were employed in residential units; and commercial casework which was restored to become shelving in a living space. 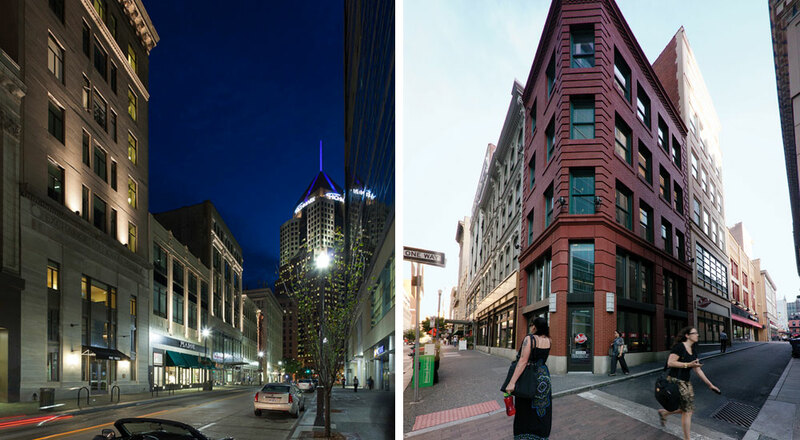 The restoration and reinvention of this group of seven buildings illustrates the direct correlation between historic preservation and sustainability as successful drivers of urban revitalization, demonstrating a process for renewal that planners, developers, and designers could repeat on other city blocks like this one.